I can’t hate Ohio State University. I’ll admit, it was pretty easy with FSU — they gave Oregon fans, and college football in general, plenty of ammunition over the course of the 2014 season, but Ohio State? – naw. The Buckeyes are a team who have faced similar adversity to the Ducks. Key injuries, early season loss, Heisman contender, and coaches you can’t help but have a ton of respect for. Maybe that’s what makes the first ever CFP National Championship game such a treat — regardless of who you root for, both teams deserve to be there, and it wasn’t because of a media poll. Troll me if you want, but I LIKE Urban Meyer. Speaking of media polls, remember the old BCS? In that format, we would have had an Alabama/Florida State matchup. Eleven weeks of the 2014 season, there were no less than four SEC teams ranked in the Top 10, and during four of those weeks, there were five. How is any other conference supposed to compete for a #1 ranking when one conference owns almost 50% of the top 10 spots? Obviously, the media bias that gave us such thrillers as Alabama/LSU and Alabama/ND is now a thing of the past… or is it? Anyone who thinks the early season AP and USA Today Polls didn’t influence the CFP Committee doesn’t deserve to be a college football fan. 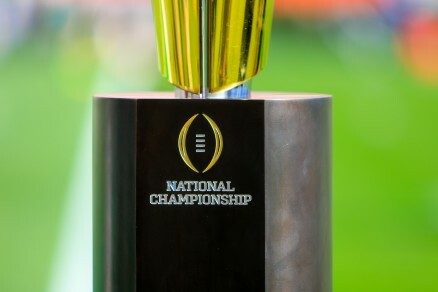 Human bias exists in all things in life, and how could the committee possibly avoid the never-ending onslaught of “SEC-SEC-SEC?” Even the most ardent, independent thinkers can’t help but allow some of the outside discussion to seep in and affect their thinking on creating the rankings for the CFP poll. We saw reflected in the Committee poll what we saw in the AP and the USA Today Polls — a nice, heavy dose of the SEC, with an undefeated reigning National Champion and a couple of other pretty good looking teams sprinkled in. Three of the top five, and four of the top ten in the first-ever CFP Committee poll were… yup, you guessed it, SEC teams. The preseason rankings exist at this point to do one thing and one thing only — give the national sports media giant something to write about for the nine weeks leading up to the Committee’s Week 10 ranking release. If the complete and utter collapse of the SEC at the end of this season doesn’t make the media take a step back and be more subjective about preseason and early season rankings, then maybe it should just go away. 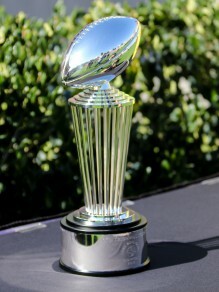 Since we are discussing the College Football Playoff, and rankings, I have to say I feel bad for TCU. I think the Committee got it right, but if I were the Horned Frogs, it would feel a lot like being left at the altar when you think you are about to marry Scarlett Johansson after successfully wooing her for nine months. Sorry guys, you look good, you have all the moves, but it’s “Urban Freakin-Meyer.” Most of us would get left at the altar for THAT guy. Not that it matters, you already lost earlier in the season to Hawkeye, so you can’t be that upset, can you? You saw this coming… c’mon, if everyone in the room was being real with themselves right now, you knew Baylor was going to be ahead of you in the final rankings. So what’s the solution? Some out there are calling for an eight team playoff. Wouldn’t that defeat the purpose, and the argument, of a strong out of conference schedule? Why would Baylor, or the SEC, change their scheduling habits if you knew all you had to do was win your conference and you are in? I’ll admit it — I like the four team playoff. It makes scheduling matter. It makes conference play matter. It helps bring the drama we all love in college football. I love the fact Oregon and Michigan State are playing a home and away. I love the fact the Pac-12 has never shied away from playing teams from other conferences. It’s why the Pac-12 is the Conference of Champions, and it’s only just now the rest of the country is getting a chance to witness it themselves. It’s fitting that the first ever College Football Playoff National Championship Game is being played between two traditional conference foes in Oregon and Ohio State. 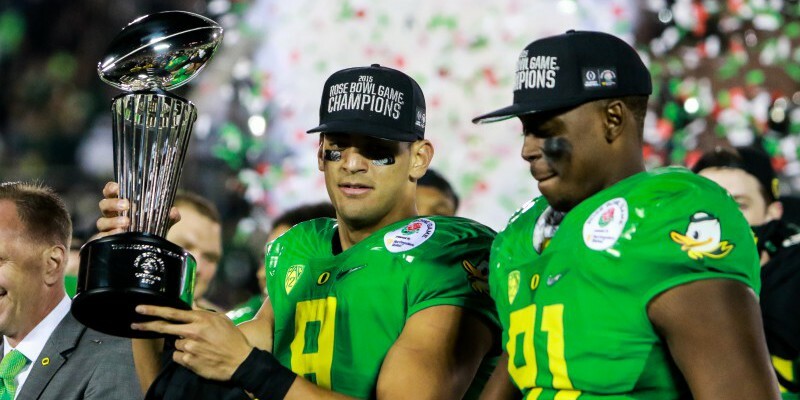 It’s a feeling of unadulterated PRIDE in not just our Oregon Ducks, but in the game itself — the matchup, the coaches, the players, the respect for the game. I don’t have any hate for Ohio State. I hope Oregon runs them off the field, but hate? — nope. Just a whole lot of respect for a game college football fans have been waiting for since before the BCS. The Granddaddy of Them All. Again. Can we just move this game to Pasadena permanently?